Born in Guatemala, Eduardo Pretzanzin had his first taste of electronic music at the age of 12. 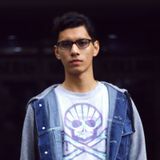 He began to gradually explore the underground music scene, learning various techniques such as mixing and music production. His desire to become part of the "underground" scene pushed him into launching a career under the alias "Edu Pretz". In 2011 he made his debut on the legendary Berlin based label "Minus". His remix of "Ask Yourself" by Plastikman was widely appreciated, and with several other labels rushing to snap up the young artists signature, he began to catch the eye of the underground community. 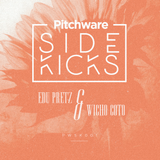 Edu&apos;s tracks have the support from many artists like Richie Hawtin, Paco Osuna, Troy Pierce, Miro Pajic, Terry Whyte, Gabriel Ferreira, Nino Blink, and many others.